Little, Brown and Company, 9780316394871, 368pp. When a DNA test reveals long-buried secrets, three generations of women reunite on Cape Cod for the homecoming of a lifetime. Marin Bishop has always played by the rules, and it's paid off: at twenty-eight she has a handsome fiancé, a prestigious Manhattan legal career, and the hard-won admiration of her father. But one moment of weakness leaves Marin unemployed and alone, all in a single day. Then a woman claiming to be Marin's half-sister shows up, and it's all Marin can do not to break down completely. Seeking escape, Marin agrees to a road trip to meet the grandmother she never knew she had. As the summer unfolds at her grandmother's quaint beachside B&B, it becomes clear that the truth of her half-sister is just the beginning of revelations that will change Marin's life forever. 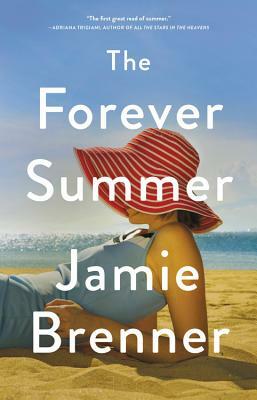 THE FOREVER SUMMER is a delicious page-turner and a provocative exploration of what happens when our notions of love, truth, and family are put to the ultimate test. "A captivating tale of family secrets and strong women."